The tranquil countryside is teeming with wildlife - wrens, finches, ducks, pigeons, crows, even bats. A frightening scarecrow guards a ruined farmhouse and under his withering gaze the birds begin to fall from the skies, their bodies covering the ground. Steed and Mrs Peel are punting on a river - she punting while he rests under a parasol. He pulls a bottle of rosé out of the river and over a glass of wine he tells her the area used to be full of martlets but now there are none - furthermore, a man is watching them. He heads off for London while Emma confronts the man, who has leapt from his tree. He introduces himself as Quince (Aubrey Morris) and tells her he was looking for a black-capped petrel - which Emma knows hasn't been sighted in England for a hundred years. He grins and asks, "Where have all the martlets gone?" then tells her many other species are diminished. They're interrupted by a gamekeeper, Mellors (Conrad Phillips), who warns Quince he's been caught trespassing before. 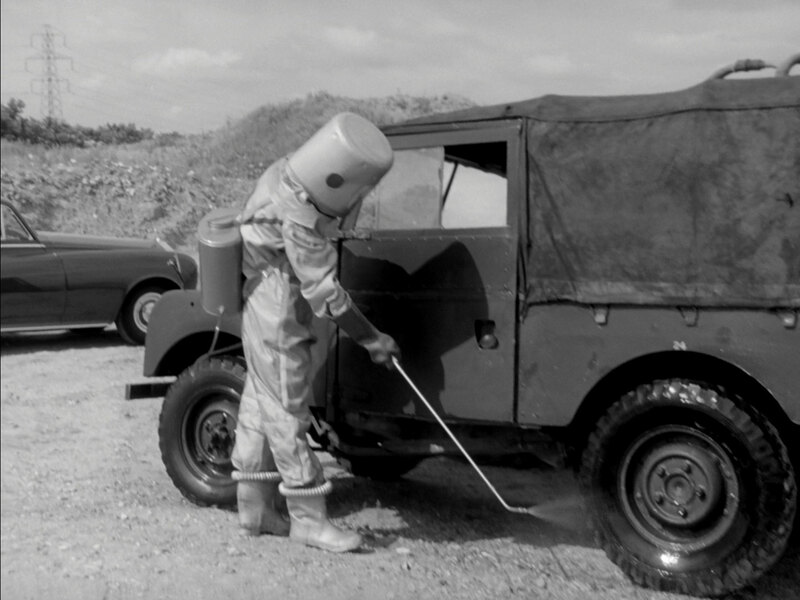 Mrs Peel takes responsibility and then Mellors' master, Peter Omrod (William Franklyn), arrives. 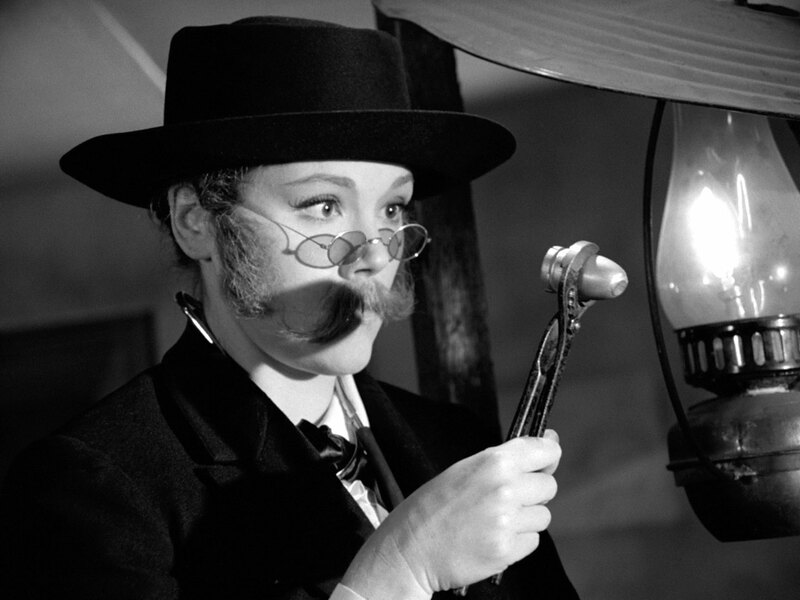 Mrs Peel introduces herself as being from the British Trust for Ornithology, looking for martlets. Omrod says if you can't shoot it he's not interested but invites her to ride one of his horses. Omrod rides back to his estate and asks Juggins (Jack Watson) if he's on for that night - "a few more sessions will do it" - and notes that Juggins is a bloodthirsty brute. "Just as well for you I am", Juggins replies. 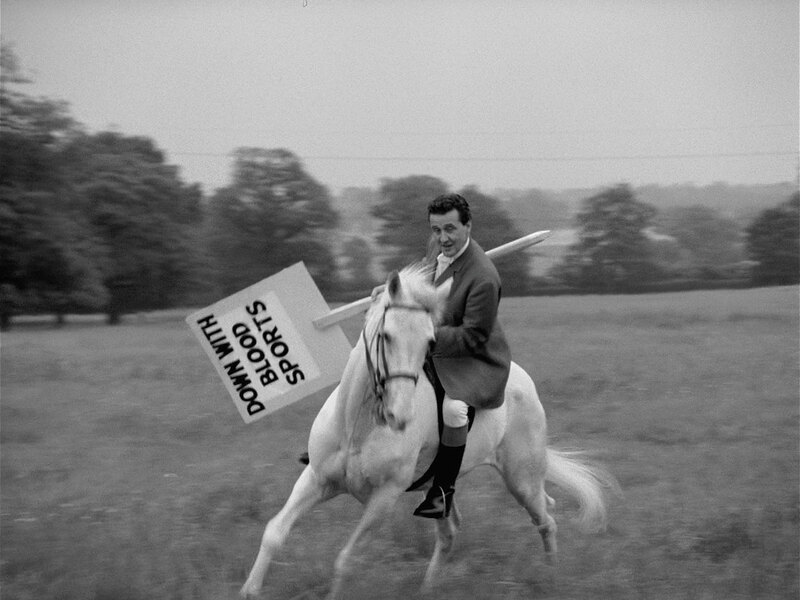 Steed meanwhile is riding in a limousine with a government minister (Hilary Wontner) who tells him the disappearance of martlets was how it all began last time. They drive to Manderley, a quarantined village where they have to wear galoshes. 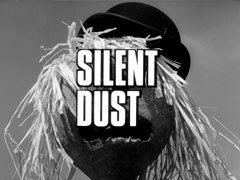 The minister shows him a barren field with dead trees and tells him about "Silent Dust", an experimental fertilizer that went wrong, killing everything; Manderley has been barren for ten years. Steeds visits Fellows Fertilizers where Sir Manfred Fellows (Charles Lloyd Pack) is testing a new batch for scent. He tells Steed that if it smells like peaches, people don't think it works - they had a winner last year that smelled like old socks. 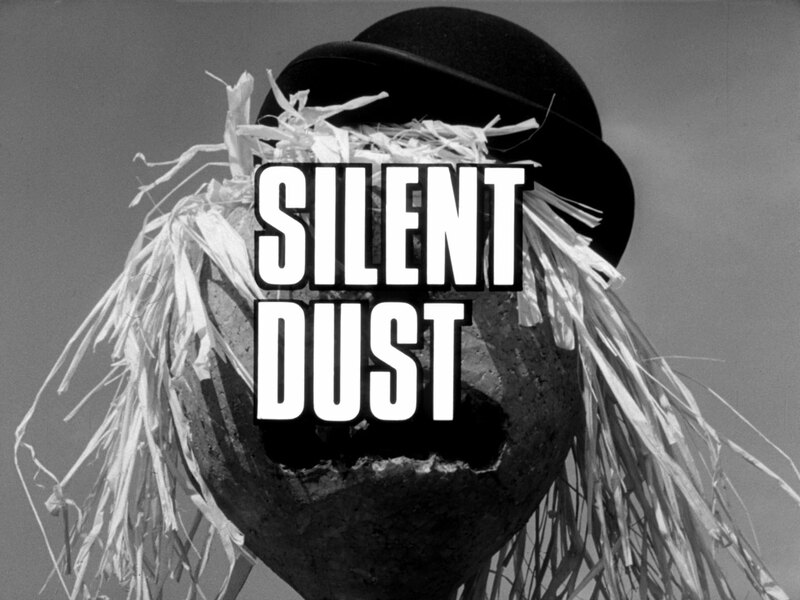 He's shocked when Steed asks him about Silent Dust but tells him none of it remains and the chemist who developed it, Prendergast, was sacked. As Steed leaves to check the personnel files, Fellows tells him Prendergast had a daughter called Clare. Clare Prendergast (Isobel Black) is painting a restless subject's portrait when Steed arrives to talk to her. She indicates the casket holding her father's ashes when Steed asks to speak with him; he died in the cold snap at the end of March, a broken and humiliated man. She asks to be left in peace and Steed departs. Clare returns outside, huffing about Steed wanting to "help father" and her subject asks for Steed's name - it's Omrod! Quince finds Mrs Peel in the Stirrup Cup Inn, talking to Croft (Norman Bird), who is angry at not receiving royalties for the roses he bred which now festoon the country. Quince takes her outside and tells he he's found something - she's to meet him at the estuary at 10 that night - and Mellors watches them from the door of the pub. She hears his bird call at the appointed hour, but a burly tattooed hand throttle him before she reaches the spot and she finds nothing but Quince's broken spectacles. She tells Steed in the pub the next day and he tells her to investigate Prendergast while he - spotting Miss Snow (Joanna Wake) entering - will see what he can pick up. He advises her on colic in horses but before she can buy her a drink she's called away by Omrod for a meeting. The barman explains Omrod is Master of Hounds and they're all on the committee - Croft and Snow. Omrod is considered new to the area, having lived there for fourteen years whereas the Snows have been there for centuries; the Snows lost all their money recently when their "soil turned sour". Omrod annoys Juggins by insinuating he may invite one or two guests to the hunt. Mrs Peel meanwhile visits Howard (Robert Dorning) at Fellows Fertilizers and sees Omrod in a photograph of an Annual General Conference. Howard tells her Omrod is an agricultural adviser - a farmer who tries experimental products. Omrod's meeting has taken a sinister turn - he proposes they demand £40,000,000, paid into a Zurich bank and split between them. Juggins wonders if they'll pay and Omrod assures him they will, after they've destroyed Dorset. He grinds his teeth and declares that they will destroy county after county and, if need be, the whole country until they're paid. 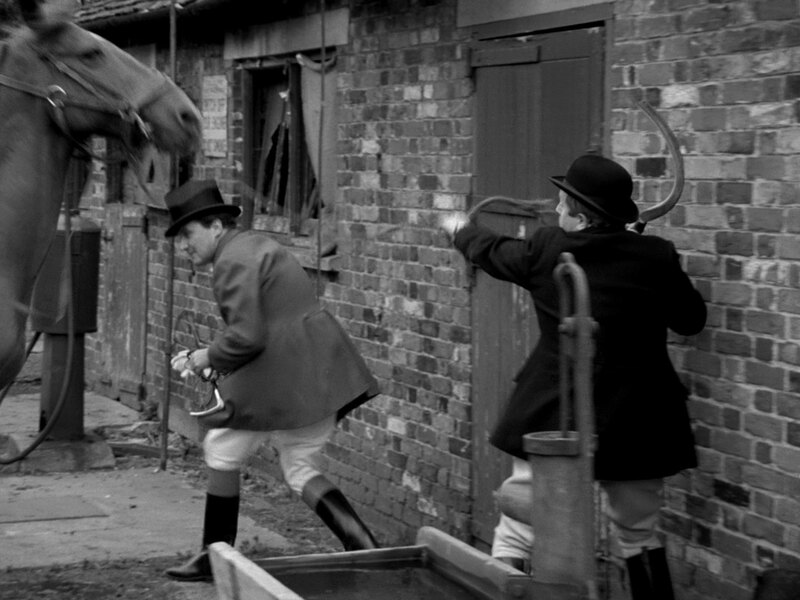 Steed saunters toward the ruined farm buildings and is confronted by Mellors, who threatens him with a shotgun. Steed departs then doubles back and enters the buildings, finding a trail of powder on the floor. He puts some in an envelope and emerges, skirting around a barrow full of dead birds. Mellors comes around the corner and shoots, winging him, and Steed takes to the cover of the hedgerow, trapping his foot in a fox trap. He lies in quiet agony while Mellors searches then prises the trap open, releasing his foot, and passes out. 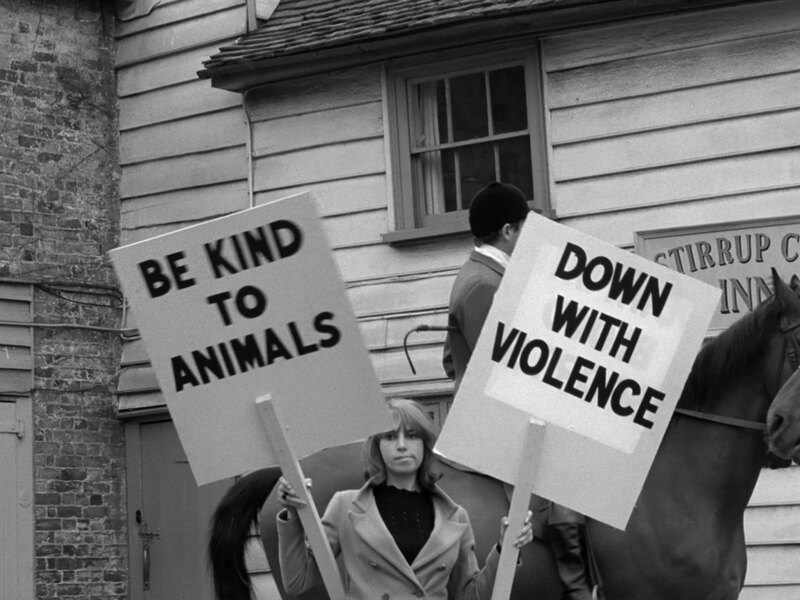 That night, Mrs Peel finds Steed hasn't been seen since lunchtime and ducks an invitation from Omrod to join the hunt to go and find him; the innkeeper tells Omrod "her boyfriend let her down" and mentions Steed's name. Emma visits the farm buildings and finds Quince's body under a pile of apples in a locked cupboard - Steed then staggers in. He has an hallucination, imagining himself a Wild West sheriff being operated on by a red-eye swilling medic (Mrs Peel complete with false moustache), as she removes the shot from his wounds. Declaring him well, she leaves him with Quince while she visits Clare; he hands her the sample of dust for analysis. 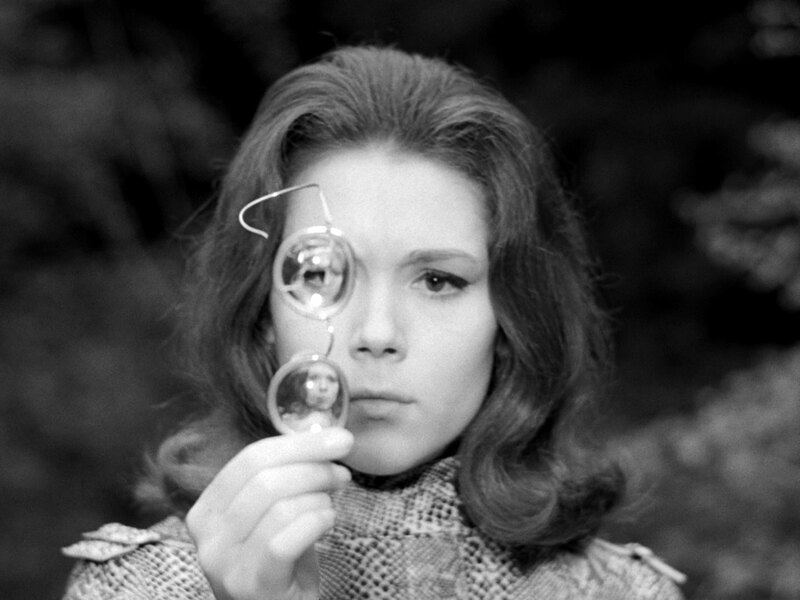 Mrs Peel strips for Clare, posing as she sculpts her face, and asks her why she chose this particular village. Clare tells her when her father lost his job, he lost all his friends, except one, who brought them there - Omrod. Steed visits Omrod unannounced and tells him about Mellors shooting him. He goes on to enquire about local prospects, claiming he plans to buy land to farm in the area and Omrod candid tells him, "Forget it, the soil is poor". Steed grins as he sees his opportunity and reveals he knows Omrod has been buying large quantities of phosphates, then waltzes out the door. The other conspirators enter and Juggins proposes killing Steed when they hear he's become a problem. Croft is against the idea - tomorrow they destroy Dorset and the next day deliver their ultimatum; they can't take risks now. They resolve to have a double hunting accident and plan a course across some of the more treacherous and secluded farmland. Steed finds Mrs Peel at the inn, dressed for riding, and she tells him the dust was highly concentrated - a sackful could destroy 40 miles of land. They set out; Omrod accompanying Mrs Peel while Miss Snow delays Steed, asking him to help her with her mount. Steed is ambushed by Croft but he easily gains the upper hand while Miss Snow rejoins the main party. Mrs Peel pursues her across the fields while Omrod and Juggins decamp to prepare the dust and Mrs Peel later enters the stable, leading Miss Snow's horse. She learns they mean to destroy Dorset and points a gun at them, but is surprised by Mellors. She defeats Mellors and escapes. chased by Juggins and Omrod as though she were the vixen in the hunt. Steed arrives to find her backed against a tree, being whipped by Juggins. He rides to her rescue and clobbers the oaf with a placard left behind by an anti blood sports protester. 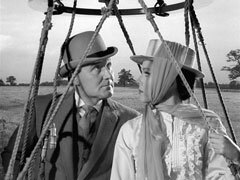 The Avengers leave the village in a hot air balloon, Steed assuring her he knows how to control it - you throw ballast overboard. 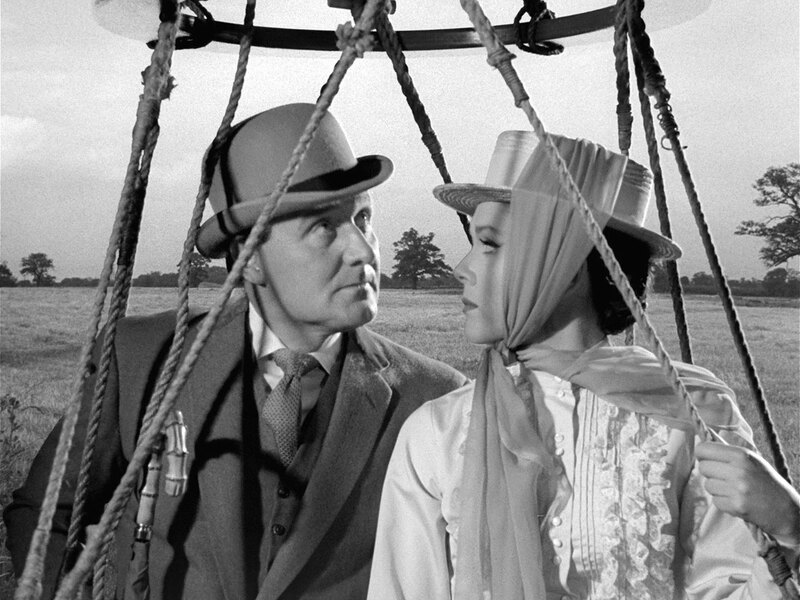 Mrs Peel asks what they do when they run out of ballast and Steed looks slightly baffled as they soar into the sky.